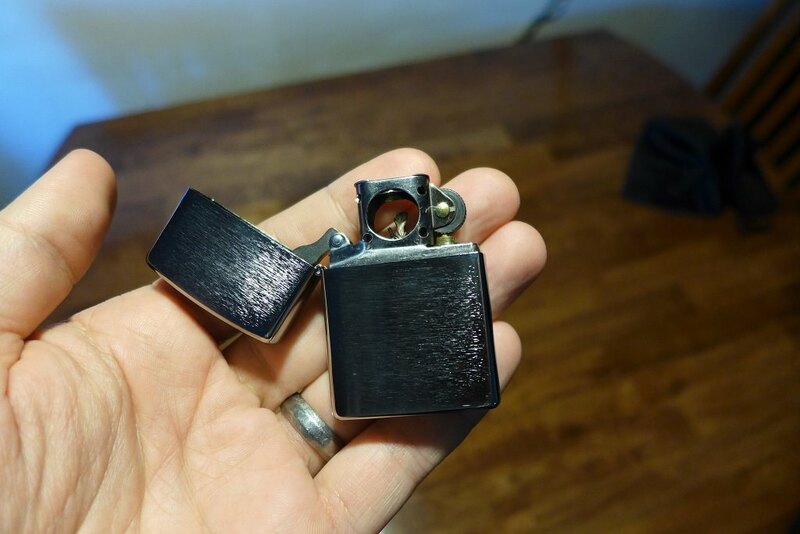 Anybody want to try a Zippo Pipe Lighter? I was digging through the "box of pipe randomness", and I found this basically new Zippo. I bought this a while back, but old habits die hard and I eventually decided I am happy with good ol' matches. I thought about hacking the top of the insert off and turning it into a match safe, but I just couldn't bring myself to do that to a brand new Zippo. PM me your address and I will get it out to ya! I like mine. I hope @mrpipster is as happy with it as I have been. Zippos are too reliable and don't need enough maintenance to keep them working well. That's not how I roll. I like an over-engineered fancy-schmantz special fuel lighter that requires careful calibration to get the thing to light. Plus the Zippo is wind-proof----I hate that. I hate a lighter that stays lit in any weather conditions. Someone else can take advantage of your "generosity." Me? I'll take a Porsche Design PD3 Silver Pearl Circular Flame Lighter. It's a real steal at a sale price of $161.50! I like a lighter with a lot of bells and whistles that works for about a week before I get fed up with it. Zippo? Schmippo! In all seriousness, you just offered a good deed and a good deal all in one gesture. Nice work, Houtzie. You're going to make someone very happy. Cheers! Psssst: The Zippo is better. Maybe I am weird, but I prefer a soft flame for toasting/lighting a cigar and usually use a Djeep or Bic. I can sort of appreciate the engineering behind crazy lighters like that though. If I am gonna buy a weird lighter, I would probably buy a Beattie Jet.